I’ve long been a bourbon guy. I’ve also been a mint julep guy for quite some time. I can’t remember what exactly got me into either, but I can remember the first really good mint julep I ever had. 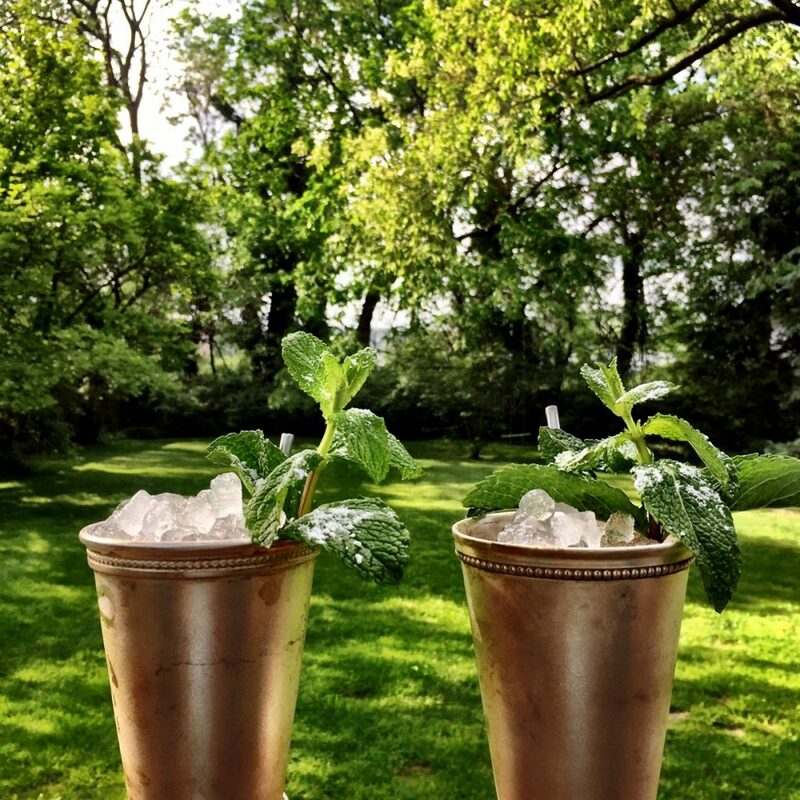 I went to The Greenbrier many years ago and ordered a julep at the Lobby Bar. Despite The Greenbrier’s website showing a julep in a clear glass with citrus on its site and a plastic straw on another page, I recall getting a beautiful julep in a proper beaker. It was perfect or damn near anyway. There are so many reasons that its hard to get a good julep at a restaurant/bar, but I think the major obstacle is that establishments do not want to serve such a strong drink. 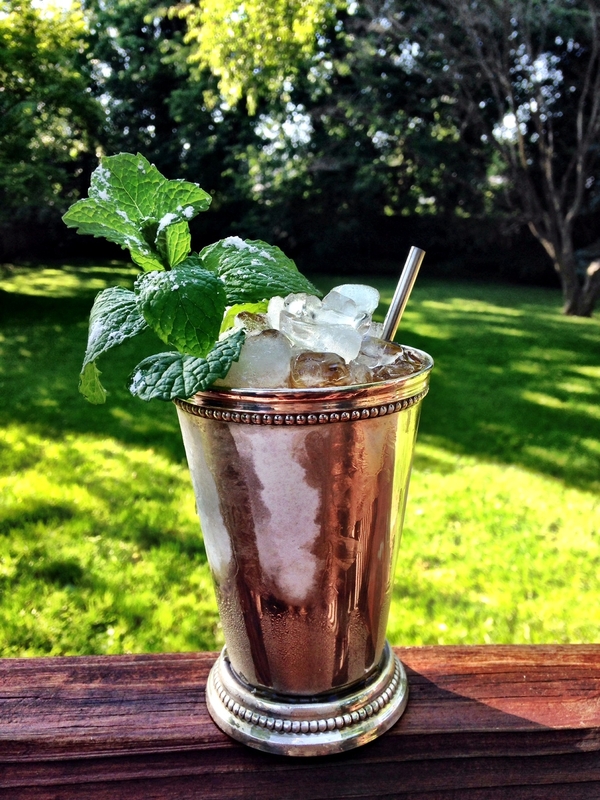 The julep is from another time when people really drank and enjoyed the taste of hard liquor. Nowadays, most people seem to prefer that a drink have no taste of alcohol whatsoever and bars want to serve one ounce or 1.5 ounces of liquor per cocktail. I imagine its also costly to keep fresh mint on hand and employ bartenders that can craft a quality drink (as opposed to those that can only add vodka to redbull). If I’m at a bar thats not known for good cocktails, for say, a work happy hour, odds are I’ll order a bourbon or scotch neat. Not because I don’t want a cocktail, but because I doubt the bartenders’ ability to make a good one in a reasonable amount of time. Fortunately for me I live near Washington DC where there are plenty of excellent bartenders, and even bars with julep history. Here is the problem: If you want someone’s interpretation of a classic, by all means, enjoy a julep at any upscale bar. DC has plenty. If you find yourself north of the Mason-Dixon, Nick Nicholls (formerly of Berlin, MD) at Forest Hills Station House can serve you their interpretation from the menu, or a historically authentic julep made to order. So if you truly want the real deal you’ll probably have to make it for yourself (or have it made to your exact specifications). 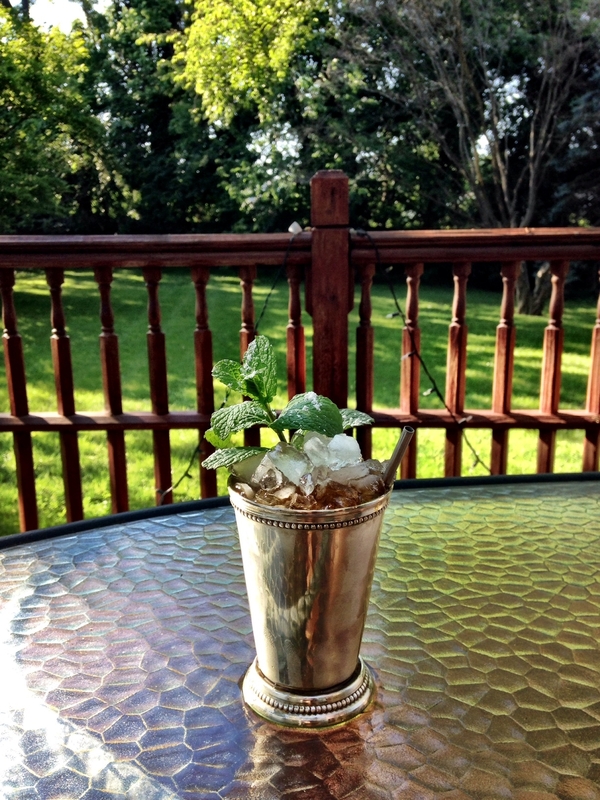 So at this point, I imagine you’re wondering, “What is the correct/authentic mint julep recipe?” The answer is that it depends on the timeframe and your preferences. To truly understand the julep, and to become a champion of the julep, one must read, The Mint Julep by Richard Barksdale Harwell. 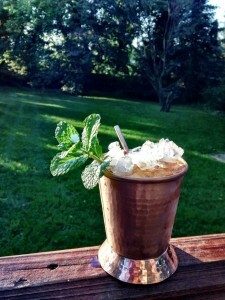 In the aforementioned work, it is stated that one of the first recorded uses of the word julep in America was in 1787. It was said to contain rum, water, and sugar, and was drunk by a Virginian, in the morning. Recall that rum was quite popular in the Colonies at that time, and that whiskey did not become the most popular American spirit until quite a while later. 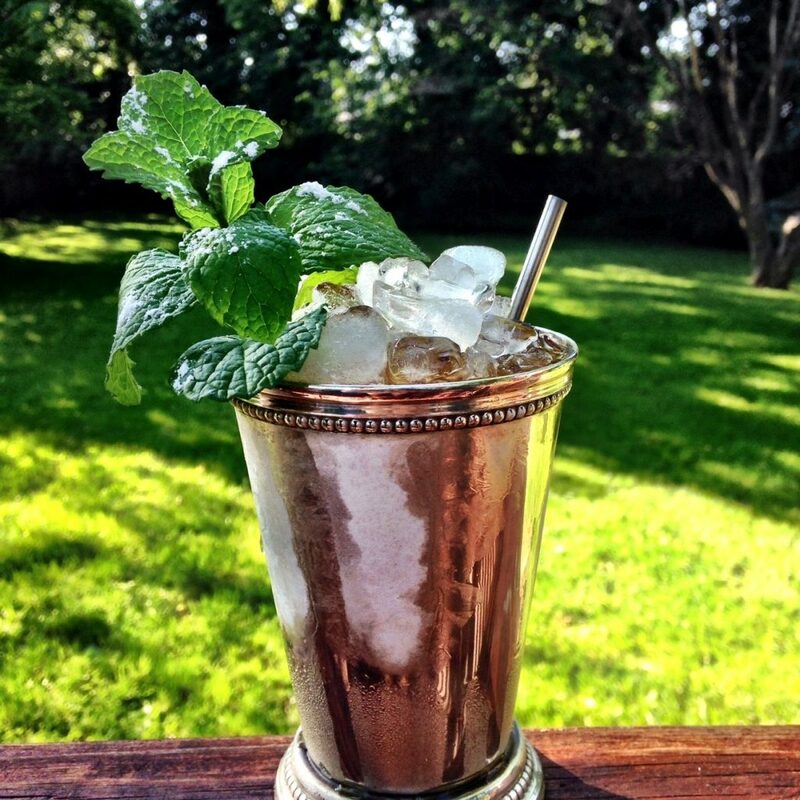 In 1803, the julep was first described as having mint as an ingredient and this time, the spirit used was whiskey. 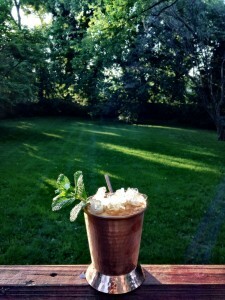 Again, the context is a plantation in northern Virginia, and the julep is taken in the morning. In the The Bon Vivant’s Companion (Jerry Thomas, 1862, source again is The Mint Julep by Harwell) a recipe for the Mint Julep is given, using Cognac, and a splash of Jamaica rum. 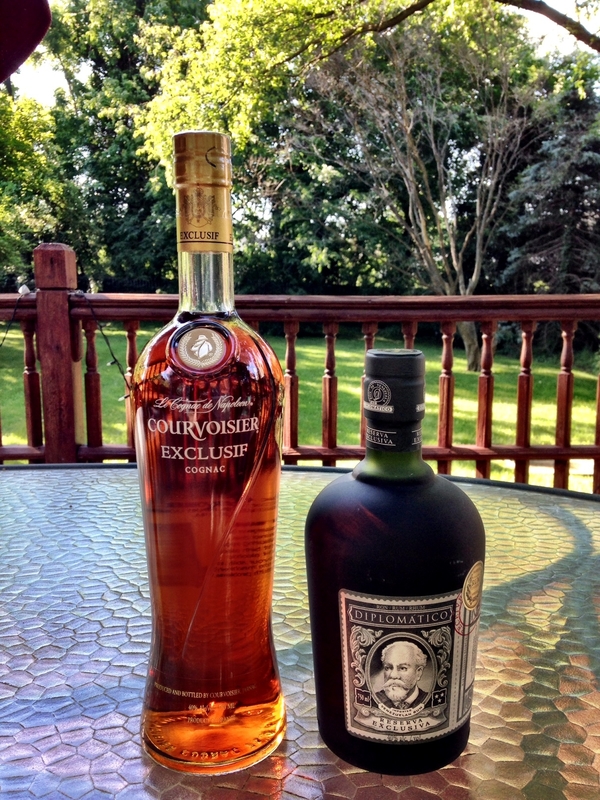 Other recipes with various base spirits are given, but Cognac and Jamaica rum is given as the standard. Notice the published date (more on that later). Elijah Craig is credited with first aging whiskey in charred barrels. This is said to have happened at his distillery, built 1789, and before his death, in 1808. By 1793, “Old Whiskey” was a term used in advertisements, and by 1814, the actual number of years the whiskey had been aged was advertised. That said, straight off the still ‘white dog’ whiskey is what predominated (Bourbon, Straight. Cowdery). Even though charred barrel aging was starting to be used, the modern practice of using brand new charred oak barrels once (and only once), would not become a standard practice until much later. 1849 is the first time whiskey is described as being red in color (Bourbon, Straight. Cowdery). At this time, whiskey was very very rarely sold in bottles. Distillers sold white whiskey to wholesalers, who then might, “rectify” it, by charcoal filtering, adding fruit, redistilling it, or some other process to improve the flavor. There were no laws about labeling, so if you could make whiskey look dark, and you could sell it as aged whiskey (Bourbon, Straight. Cowdery). After the bottled in bond act of 1897, and the invention of a bottle making machine in 1903, bottled whiskey, and guaranteed aged whiskey, would become more common. 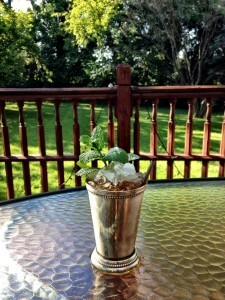 Once can experiment with unaged whiskey in a julep, but I’d wager you’re unlikely to love the result. So now that you know a little more about the spirits that are often used as the base for the julep, lets talk about when/why one should use each. If you want a colonial/antebellum mint julep, one that a Virginia statesman such as many of our founding father’s would have enjoyed, I suggest Madeira, Cognac, brandy, or rum. It would also be authentic to use claret (red Bordeaux) or unaged whiskey, but again, I don’t think you’ll enjoy a white dog julep, and a claret julep does not have the strength of the other options. Madeira was the preference of many of the more wealthy planters, but at around 20% alcohol or 40 proof, it is not quite as strong as a hard liquor. My suggestion is to use Cognac or brandy, but feel free to substitute any of the above options in my recipe below. I also like to add some rum for a little something extra. Add roughly 10 mint leaves (preferably Kentucky Colonel) to a metal beaker (Julep cup) and bruise lightly to bring out their aroma. Fill beaker with crushed ice. Add sorghum syrup (or equal parts sugar and water, heated to create a syrup) to taste. I suggest roughly a quarter ounce of syrup. Add Cognac to the beaker until almost full. Add a dash of rum to the beaker, preferably Jamaica rum. Mix with a spoon. Top with more crushed ice. Garish with a sprig of fresh mint, and serve with a metal straw that just crests the rim of the beaker. The Reconstruction Era Mint Julep. Add roughly 10 mint leaves (preferably Kentucky Colonel) to a metal beaker (assuming the Yankees didn’t loot your family silver, and you haven’t had to sell your valuables to a carpet bagger) and bruise lightly to bring out their aroma. Fill beaker with crushed ice. Add sorghum syrup (or equal parts sugar and water, heated to create a syrup) to taste. I suggest roughly a quarter ounce of syrup. Add white whiskey to the beaker until almost full. Mix with a spoon. Top with more crushed ice. Garish with a sprig of fresh mint, and serve with a metal straw that just crests the rim of the beaker. In the early 1900s, brown liquor was starting to become more common. Unfortunately, prohibition would change that. 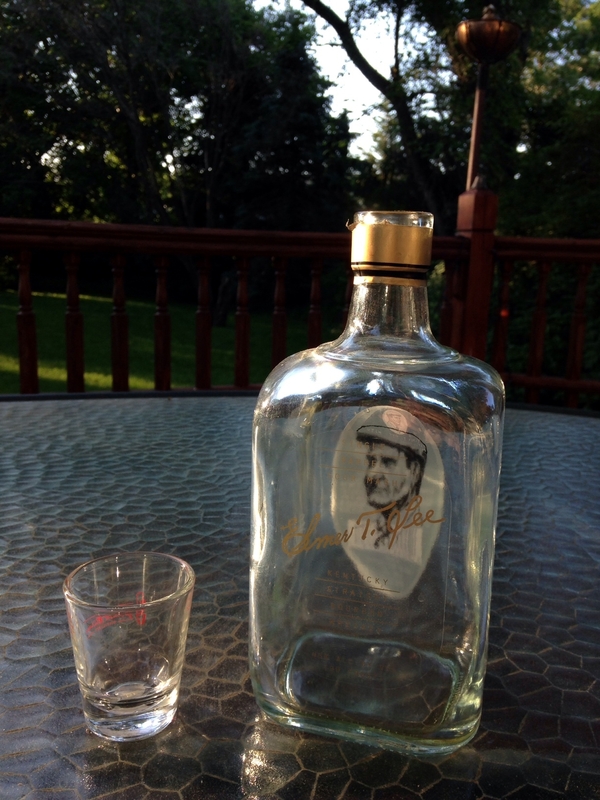 Moonshine was plentiful and white whiskey remained the king. So to enjoy a modern mint julep, one must wait until post-prohibition when the medicinal bourbon distilleries got back to capacity, and new distilleries opened to meet demand. 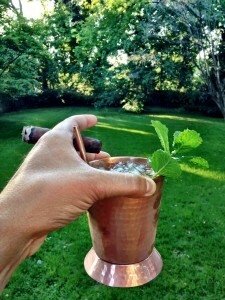 Add roughly 10 mint leaves (preferably Kentucky Colonel) to a metal beaker and bruise lightly to bring out their aroma. Fill beaker with crushed ice. Add simple syrup (equal parts sugar and water, heated to create a syrup) to taste. I suggest roughly a quarter ounce of syrup. Add bourbon to the beaker until almost full. Mix with a spoon. Top with more crushed ice. Garish with a sprig of fresh mint and sprinkle the mint with powered sugar. Serve with a metal straw that just crests the rim of the beaker. Have you ever heard that its blasphemy to mix good bourbon? Well… thats a good rule, but like all rules there are exceptions, and rules are made to be broken. I like to use what I consider to be middle-quality bourbon in my juleps. My overall suggestion to you is to use Elmer T Lee. ETL is really more of a top shelf bourbon at a middle price level (as of the writing of this post), making it a great value. 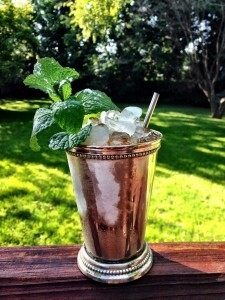 It also has a lot of sweetness, which works well in a julep. If you prefer to use bottom shelf/value bourbon, for Kentuckians, I suggest Very Old Barton. Its easy to find and about the best value on the shelf. For Virginians, I suggest Virginia Gentleman. If you’re from somewhere else, you can probably still find one, if not both of these options. 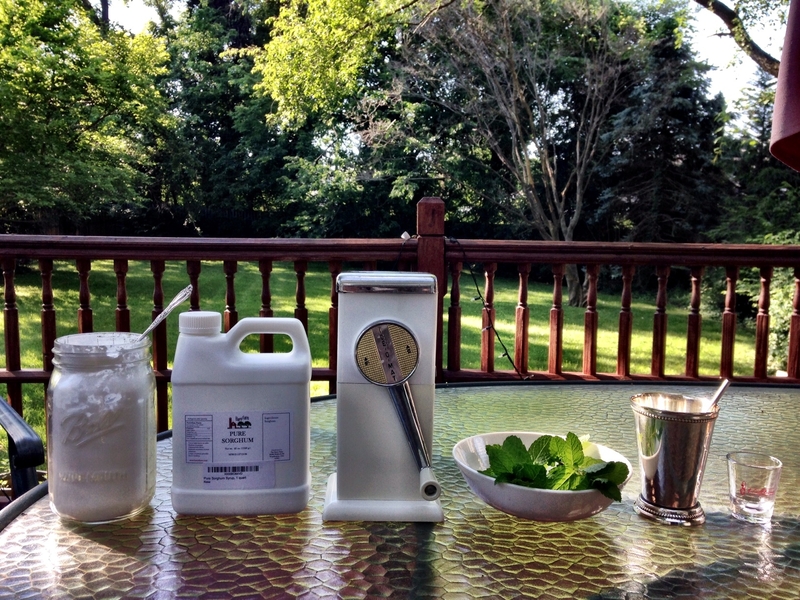 If you prefer top shelf bourbon in your julep, I bet you already know what you want to use. If you haven’t already, notice that The Greenbrier’s mint julep recipe is quite similar to the Modern recipe I’ve provided. The Greenbrier succeeds in making a quality modern julep, but I think they have a luxury of budget, and a tradition of history, that no establishments can match. 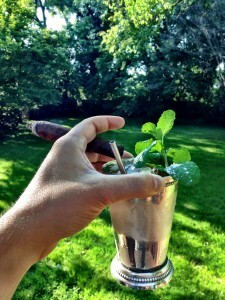 Others can and do put out a quality julep, but it is rare. This is especially true since many high quality bars like to put their own spin on a julep. There is certainly nothing wrong with that, but this post is about history and the classics. 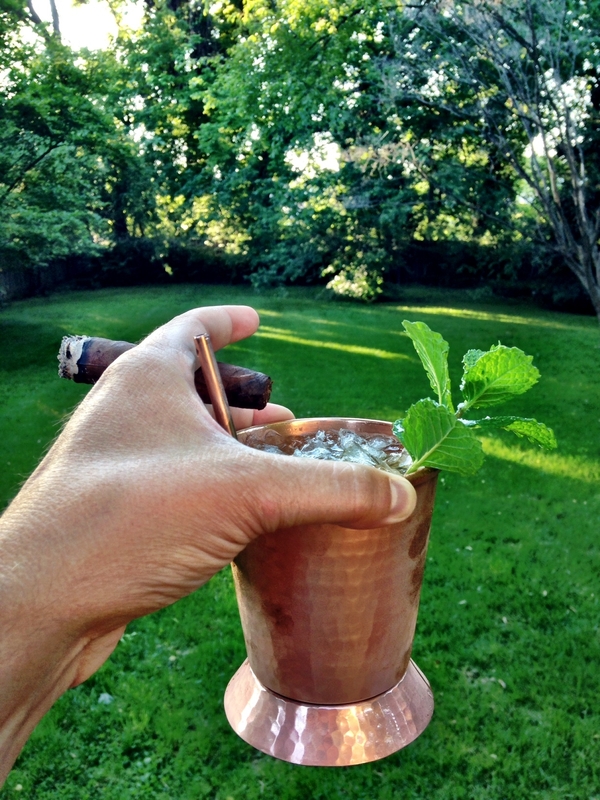 I’d like to take a quick aside and talk about my copper julep cup. I bought these after seeing an article about them in Garden and Gun. They’re beautiful, but also significantly larger. Copper is not traditional, but I highly recommend them (especially in addition to a more traditional set). 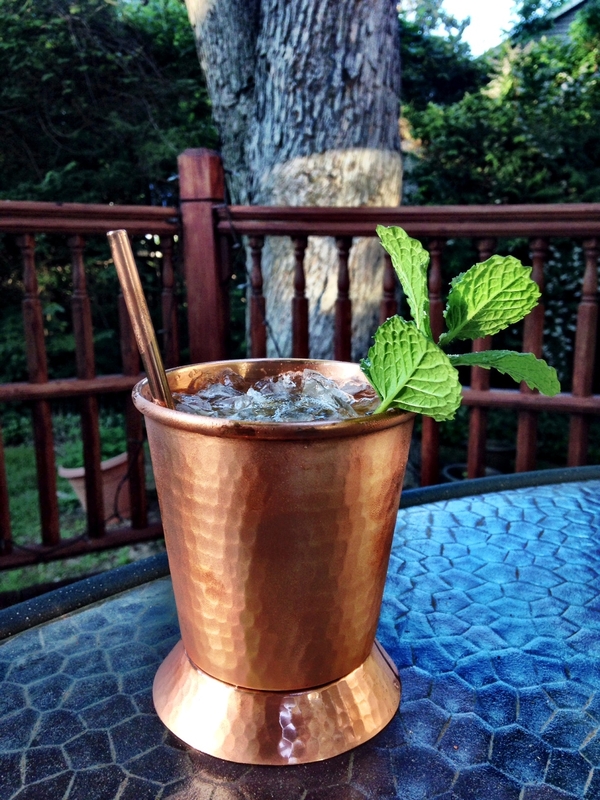 Take the fundamentals of the mint julep as provided above. Then consider mass appeal and profit. Branch water is not I-talian sparkling water. They used lemon, but not a beaker. “Southern style.” I’ve had this julep and it is enjoyable, but given this bar’s heritage, I expect better. One could ask for no sparkling water, and no lemon, but it would still be served in a glass. This master and champion of the julep discussed the seasonality of the julep, gave us a history lesson and a physics lesson, and recited a poem, all while teaching us the art of the mint julep. I have never seen such an informed and passionate barman. Truly an inspiration. Post Bonus: An interview with, and an article about, Chris McMillian, the bartender featured above. If you’re looking for more recipes, The Mint Julep by Richard Barksdale Harwell has a wealth of detailed poetic instructions and rituals. 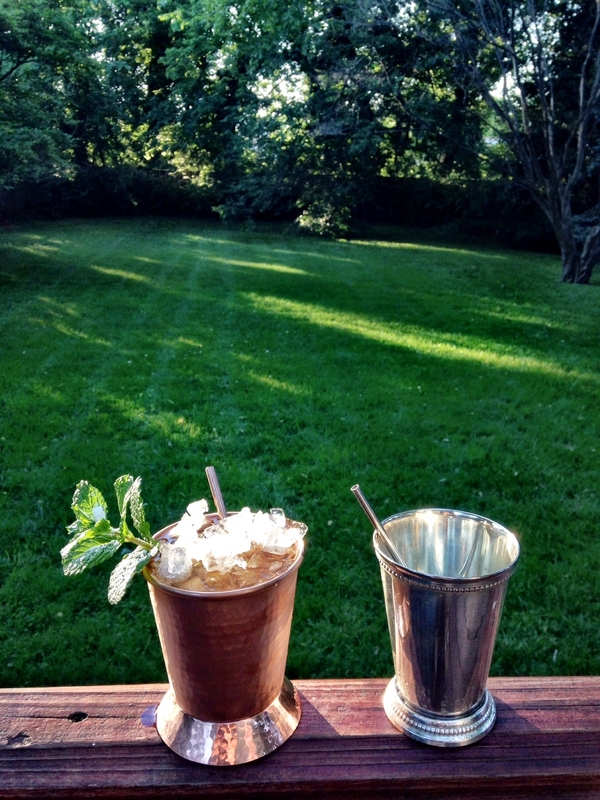 As you can hopefully tell, as a Virginian, and bourbon connoisseur, I take my mint juleps seriously. I hope I’ve gathered and presented information on this quintessential American cocktail in an entertaining, interesting, and informative way. My goal was to create the most comprehensive and subjectively superior blog post on the julep to date. 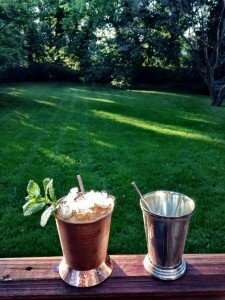 Its my sincere hope that you procure a julep cup, julep straw, Kentucky Colonel mint (spearmint from the grocery store or your garden will do in a pinch), and use this post to make yourself a truly great julep. And lingered at the julep in the ever-brimming glass. Nugget Ice Machine Just like sonic or cook out. One of my least favorite parts of making a mint julep is finding my lewis bag and mallet. 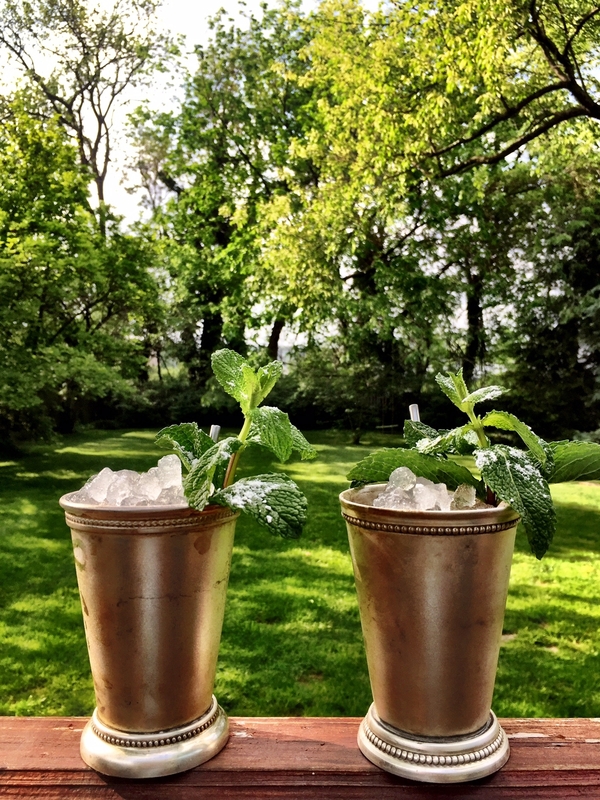 This takes a lot of the work (but perhaps some of the soul) out of making a julep. I love mine. For better or worse, it definitely has me making more juleps.